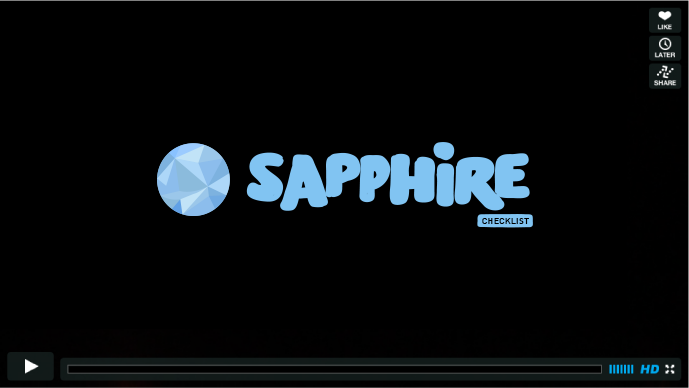 Here’s the final teaser video for SAPPHIRE Checklist showcasing its features. 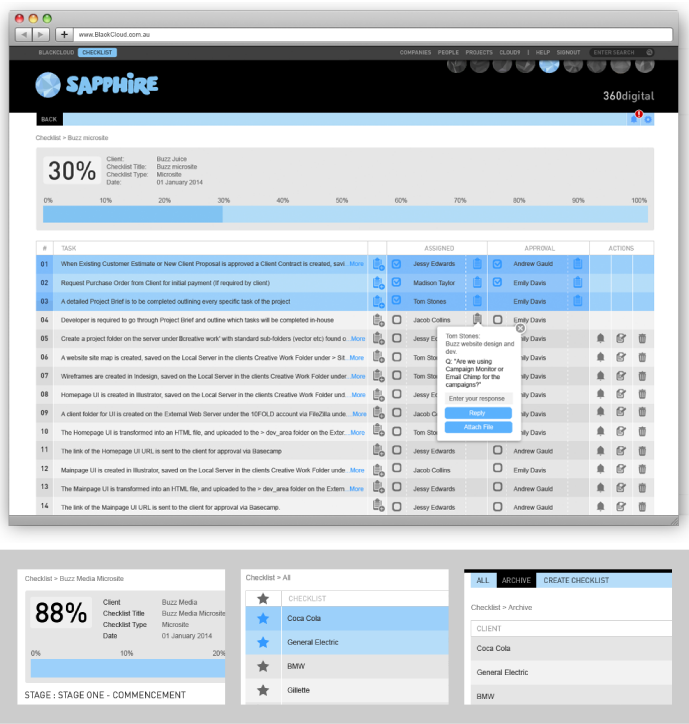 We used our interface designs and animation to illustrate SAPPHIRE’s features. The SAPPHIRE Checklist interface is designed to be both clean and user friendly, using flat colours related to the light blue of the SAPPHIRE Checklist gemstone. 1. Allow your team to manage themselves by assigning a task to one team member and approval by another. 2. Organise tasks into stages when managing any sized project. 3. Save time by importing an existing checklist from a spreadsheet to create a new checklist template. To represent BlackCloud’s easy-to-use product range, we developed a friendly and approachable feel for their branding with our custom hand drawn typeface. 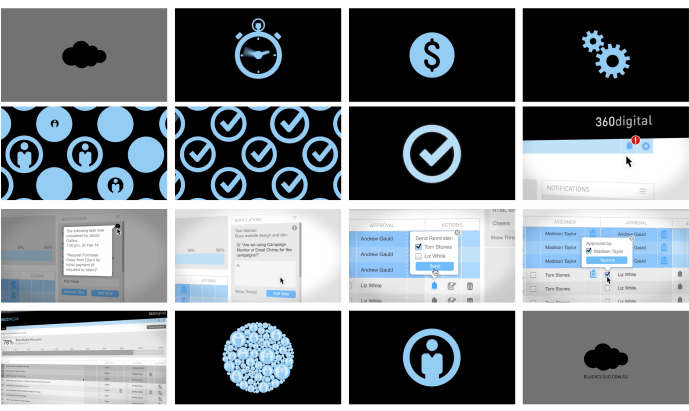 Here are some of the storyboard screenshots taken from the SAPPHIRE Checklist teaser video highlighting the features and benefits of SAPPHIRE. We recently completed the brand identity for BlackCloud Software, with a simple and easily recognisable icon that would allow us to refrain from using any wording to accompany the identity. BlackCloud is a cloud based software company offering a range of online collaboration tools built to help creatives organise their projects and reduce administration time.